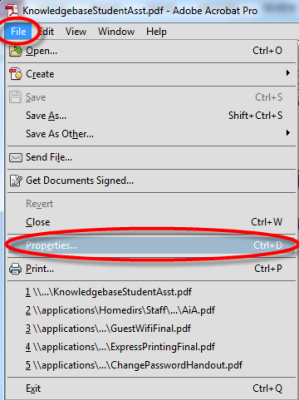 Instructions on how to secure an Adobe PDF when posting it. 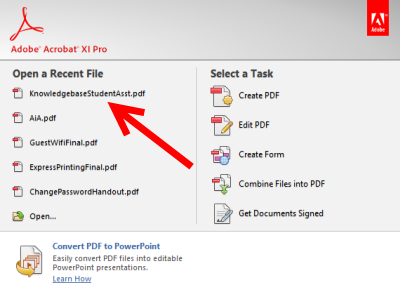 This will ensure that only authorized users will be able to edit or print a document. Open the document that you want you secure. Click File, then click Properties. In the window that appears, select the Security tab, then click Password Security under Security Methods. A new window will appear. 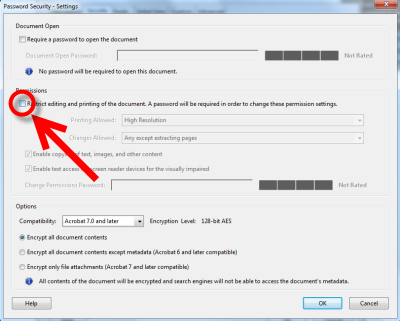 Click the box next to Restrict editing and printing of the document. Enter a password into the Change Password box, then click OK. The document can now only be edited and printed by someone who has this password.